Fabric Manufacturing Knitting What are the Advantage and Disadvantage of Knit Fabrics? What are the Advantage and Disadvantage of Knit Fabrics? 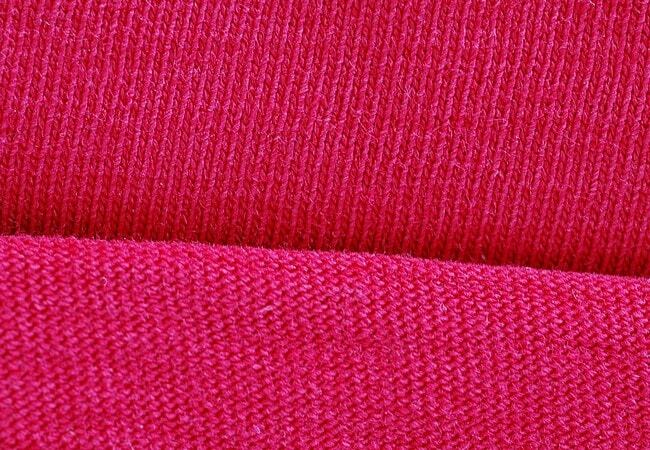 Weft knitted fabric is highly extensible. Warp knitted fabric is less expansible. Weft knitted fabric has high elastic recovery but incomplete recovery. Warp knitted fabric has better elastic recovery compared to weft knitted fabric. The best qualities of the knitwear are that it has great flexibility and it is soft to touch. Another strong point of the flat horizontally knitted material is that shaped knitting can be done. Thus, things like socks, hand gloves etc. can be knitted into products without having to undergo the trouble of stitching them. Moreover, the advantage is that, there are no stitches. However, on the contrary, the quality of flexibility results into drawback because the shape gets distorted easily while using the products. Again, if one end of the horizontally knitted yarn is pulled, it gets loosened sporadically till any length. Such drawbacks are not found in the vertical knitwear but the flexibility in vertical direction is poor and shape knitting is not possible. Some knit fabrics have excellent moisture wicking ability, especially those made from plant-based materials. Knitted fabrics are looped together from a single or double yarn creating small openings in the finished fabric. These openings serve as pockets for holding air or minuscule amounts of water. This unique feature also makes knits warmer than other fabrics, even when the fabric is soaking wet. Sewing with knits was a challenging process primarily because they have plenty of stretch and its edges may curl up as you work. While sewers have problems sewing knits, this feature also makes it possible to create form-fitting apparel that does not require zippers, buttons or hooks. Knit fabrics give in all four directions, which is useful for creating comfortable t-shirts, undergarments and other one-piece apparel. Most of the people choose to wear knitted fabrics for their softness, warmth and stretch. Whether a handmade cable knitted sweater or machine knit cotton t-shirt, these garments are very comfortable. The softness does depend on the fabric or material yarns used.